Distinctions between broadband delivery methods no longer matter to U.S. consumers. The market research shows that almost as many consumers prefer to access the Internet through mobile as through cable modems. Consumers are willing to switch to mobile-only Internet access. Millions of consumers across all kinds of demographic groups have already done so – younger consumers, older consumers, consumers of all races, consumers living in cities and consumers living in rural areas. IIA submitted comments at the FCC on August 6 in support of USTelecom’s request for forbearance from certain outdated requirements of the Telecommunications Act of 1996. USTelecom’s Petition seeks forbearance from regulatory mandates for outmoded technologies that will have no place in the next-generation networks of the future. 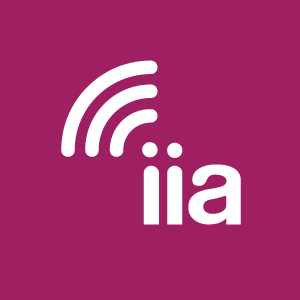 In its filing, IIA highlights how, “in the BDS market, and throughout the range of communications technologies that serve American consumers and businesses alike, the past two decades have witnessed an explosion of innovation, deployment of new platforms and technologies, such as new cable services, Ethernet products, and a massive expansion of wireless technology.” IIA showed support for the USTelecom Forbearance Petition and urged the FCC to eliminate its outdated mandates, particularly those related to the BDS market, and grant the Petition speedily. IIA Honorary Chairman Rick Boucher had an op-ed published by RCR Wireless on September 24, highlighting the ways that Internet usage continues to transform education. Boucher also details the role that the FCC can play in supporting education by repurposing the currently-underutilized 2.5 GHz spectrum band and making it available in an auction. The spectrum in this band is primarily held by educational and religious institutions, but most of it is leased by those institutions to mobile wireless operators, subject to limits under current regulations. The fact that this spectrum is leased to wireless carriers to the greatest legally-possible extent underscores that the best use for the spectrum is in helping to meet the needs of mobile data users. Given these realities, Boucher says that it’s time to 1) conduct an incentive auction for the spectrum, placing it under the ownership of wireless carriers, 2) remove existing limits on the amount that can be utilized for commercial purposes and 3) adequately compensate educational institutions that participate in the auction.